Tom and his wife Vicky joined Robertson Ryan & Associates in 2018 as Agent Owners. Before joining RRA they owned First Dependable Insurance in Las Vegas, NV. Tom focuses on commercial insurance programs for businesses of all types, but also manages several personal insurance programs, including programs for high net worth individuals. 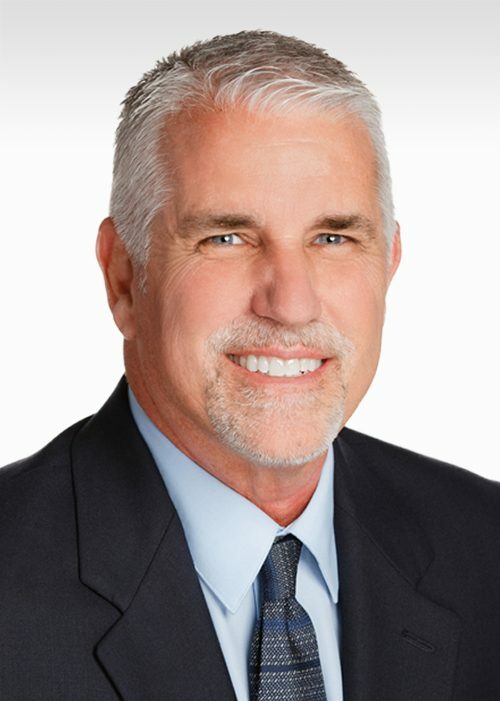 He has nearly 30 years of experience in the insurance field and holds the coveted Chartered Property Casualty Underwriter (CPCU) designation. In 2016, Tom authored the book “Insuring your Landscape Contracting Business – What every Landscape Contractor should know” a how-to guide to insurance for landscape contractors. Tom was born and grew up in Southern California and moved to Las Vegas in the spring of 2007. He is a Nebraska Cornhusker fan, softball player and bowling enthusiast with one perfect 300 game at Red Rock Lanes to his credit. The Las Vegas Community is very important to Tom and he regularly volunteers at Three Square Foodbank and donates blood at United Blood Bank. When Tom is not at the office or volunteering he enjoys exercising, golfing, water skiing and spending time with his family.